L'EAU KENZO flows through nature’s lush generosity, collecting its scents on the way. Scents of flowers, fruits and leaves. KENZO captures this fragrant water bursting with colour for a sensual encounter with the skin. A fresh, enlivening scent signed by Olivier Cresp. Invigorating Yuzu flirts with green Pepper accents, Lotus leaf and Mint unravel their freshness over a sensual base of Cedar wood and white Musks. An aquatic citrus signed by Olivier Cresp. For him, an energetic scent punctuated by invigorating and lively Yuzu and frosted Mint notes over a Cedar wood base. K by Kenzo invites you to open the ‘pop art’ pouch to discover the bottle. The aquatic accord in L’EAU KENZO pour femme has never been so sensual, with Lotus Flower and juicy Peach quivering with pleasure under the fresh and biting influence of frosted mint. Dive into a wave of sensations with the L’EAU KENZO bottle, beautifully wrapped in printed neoprene that becomes a fashion accessory once the fragrance is unveiled. The aquatic citrus notes of L’EAU KENZO pour homme are unleashed, revealing a fusing accord of Yuzu and Green Pepper with a fresh aquatic twist divulging a hint of Lotus Leaf and Frosted Mint, softened by Cedar. 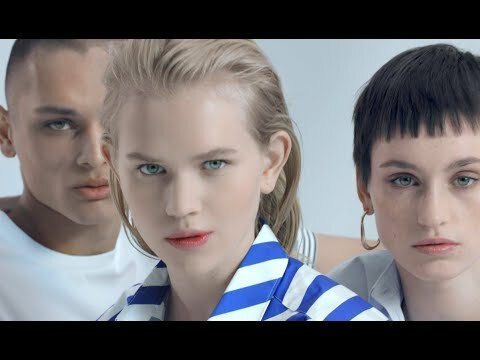 KENZO has accentuated the sensual aspects of its legendary fragrance and created L'EAU KENZO Intense, brimming with enveloping and magnetic freshness. For her, the fragrance opens with Red Apple that brings a delectable touch to the floral Lotus and Peony bouquet, unfolding over an enveloping Patchouli base. Kenzo reveals a new kind of freshness for L’EAU KENZO, intensely sensual and magnetic. Vibrant Lime over an Aquatic Accord mingles with a Vetiver woody base for a powerful and male fragrance. Water is not colourless. Nor is it scentless, or tasteless. KENZO captured its flavours and colours, condensed them in two facets, for her, for him, and put them in two pieces of living water, made for each other… "A new communication, a new interpretation of L'EAU, a hypnotic encounter, a magnetic man and woman attraction..." Patrick Guedj. A bold immersion in a brand new formula: an exclusive essence of Mandarin, juicy and catchy, sets the tone with a burst of freshness. The green Blackcurrant bite sends a shock wave and hints at the surprise to come: a colorful flash! The ultra-crispy Raspberry Leaf adds a new vibration. An addictive and puzzling duo, a crazy and bewitching tandem, illuminated by the dazzling sensuality of Magnolia petals. A fresh floral scent, unusual and radiant. A dive into a contrasted water. Pink Berries splash the Walnut Leaf with their fresh, fusing notes, a one-on-one with singular, addictive vegetal accents. Crisp and gourmand Sandalwood marries with Cedar in a refreshing duo to surprise us: unctuous, precious, it lends subtle savoury notes and vibrates with sensuality to sign this fresh and stylish woody scent. K by Kenzo invites you to open the ‘pop art’ pouch to discover the bottle. Once unveiled, the fragrance shows its true colors. The radiant floral AQUA KENZO pour femme reveals its unexpected facets, with an original blend of irresistible Mandarin Orange, electrifying Blackcurrant and ultra-crisp Raspberry leaf, a trio enhanced by the gentle caress of Magnolia petals. Dive into a wave of sensations with the AQUA KENZO bottle, wrapped in printed neoprene that becomes a fashion accessory once the fragrance is unveiled. AQUA KENZO pour homme once again takes us by surprise with its elegant contrasts: Pink Berries infuse salty Hazelnut leaf with their fresh notes, blending with crisp and delectable Sandalwood and luminous Cedar. The vision of a water that transforms the ordinary into extra-ordinary. A magical water that reveals the world in another way. It is their symbol, their primary element, their antidote to normality. Water addicts are a community, and they have finally found their fragrance: AQUA KENZO.